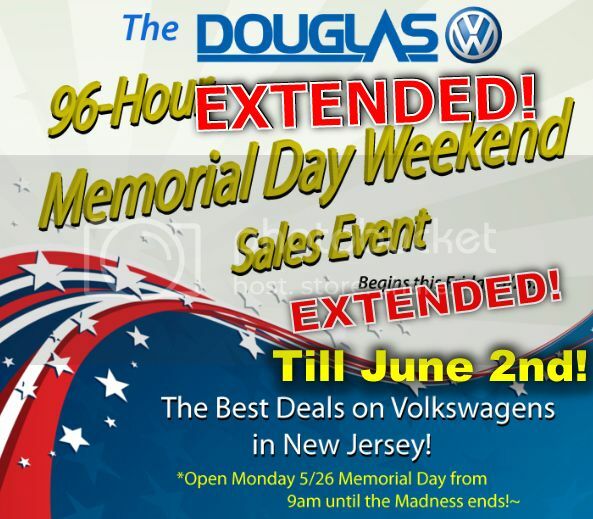 Memorial Day Deals are EXTENDED at Douglas VW! 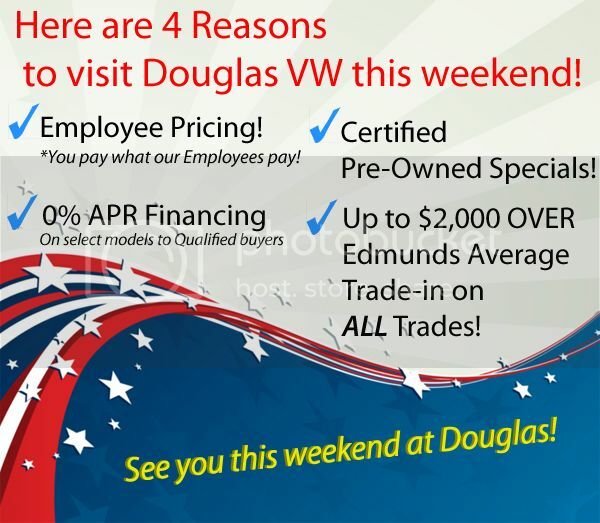 at Douglas want you to have a truly exceptional car-buying experience. Still looking for that Special Gift for that Special VW Fan in your life? 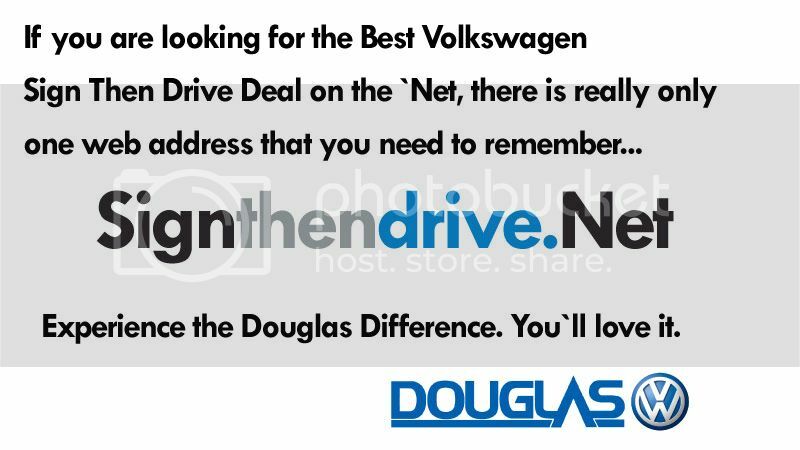 Here`s a great idea from Douglas VW! Trying to find the perfect Gift for that VW Fan in your life?? This is a great Gift idea from Douglas VW! A Keyless Remote Starter for their Volkswagen!! **Click it to get the Deals of the Season! Do Not Miss This Awesome VW Sales Event! Douglas VW has your Black Friday Deals! ALL WEEKEND!!!!!!!!! Time to Sign then Drive at Douglas VW! Union Cty NJ`s Select VW Dealer has your Great Deal! **Click the picture below to get the details of our Sign Then Drive Offers! 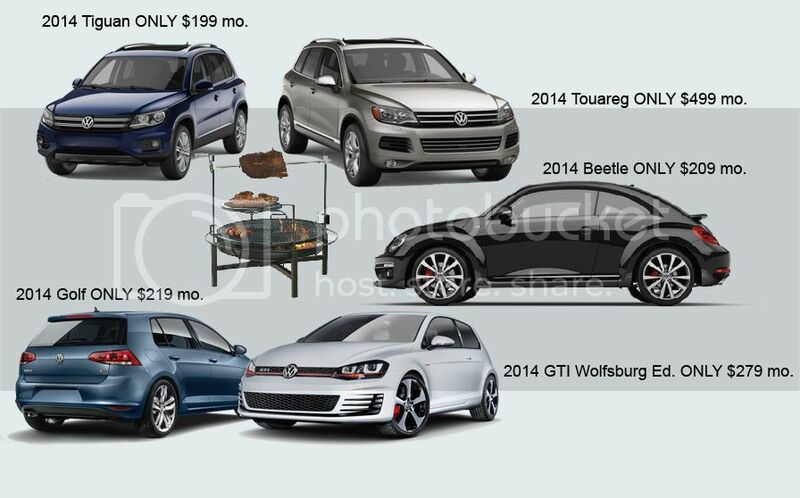 Union Co. VW Dealer Offers Incredible September Deals! 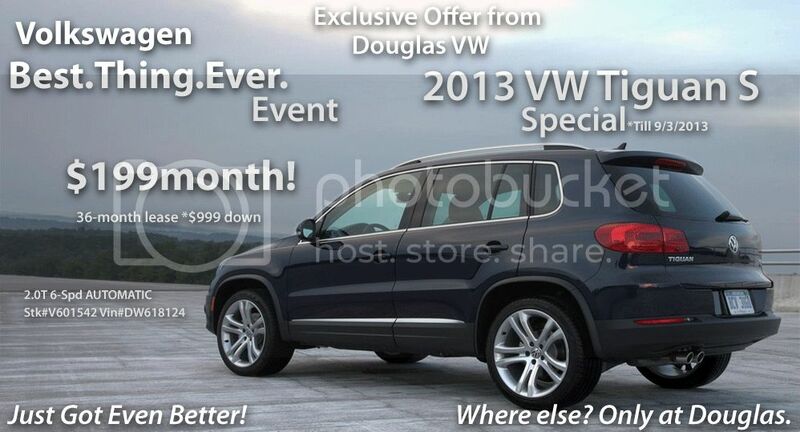 | Douglas VW Union Co. NJ`s Select VW Dealer has your Sept. Deal on that New VW! September is the absolutely BEST Month to buy a New VW! Want a reason why?? I thought so! 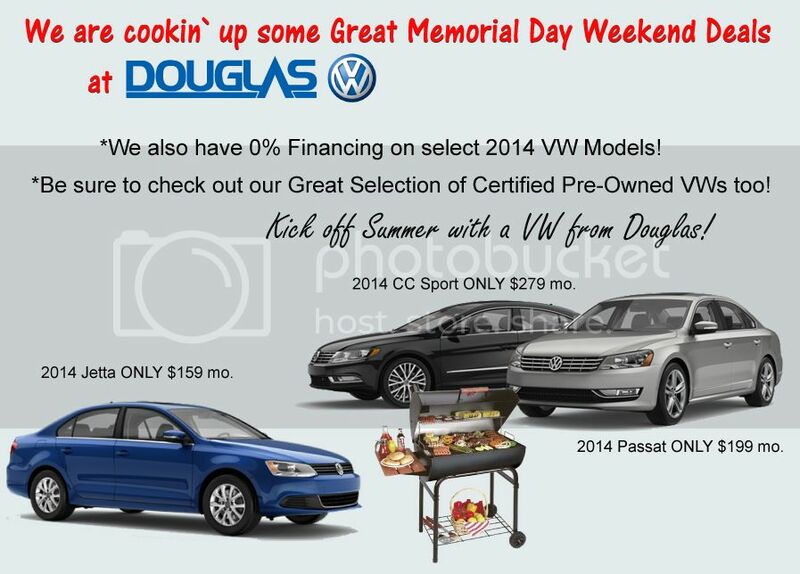 * Click the picture above to select your New VW CC at Douglas VW! As Union County NJ`s Select VW Dealership we have something for everyone! 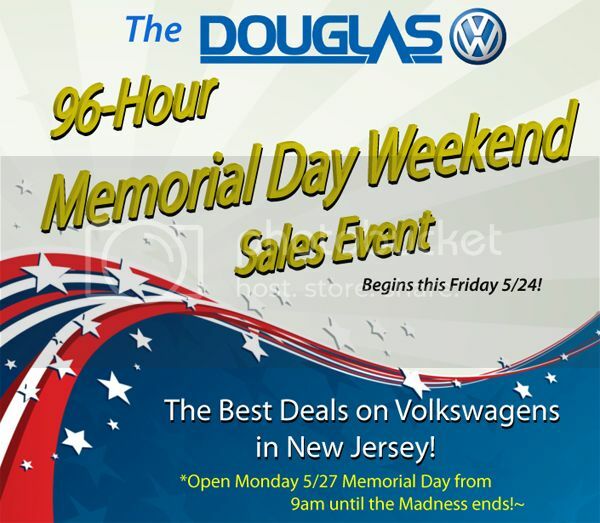 as we kick off the Biggest Memorial Weekend VW Sales Event in New Jersey! Golf anyone? 2013 VW Golf that is! Check it out! 2013 Golf reviewed at Douglas VW in Summit NJ! In the market for a Sporty, Fun-to-drive Hatchback? 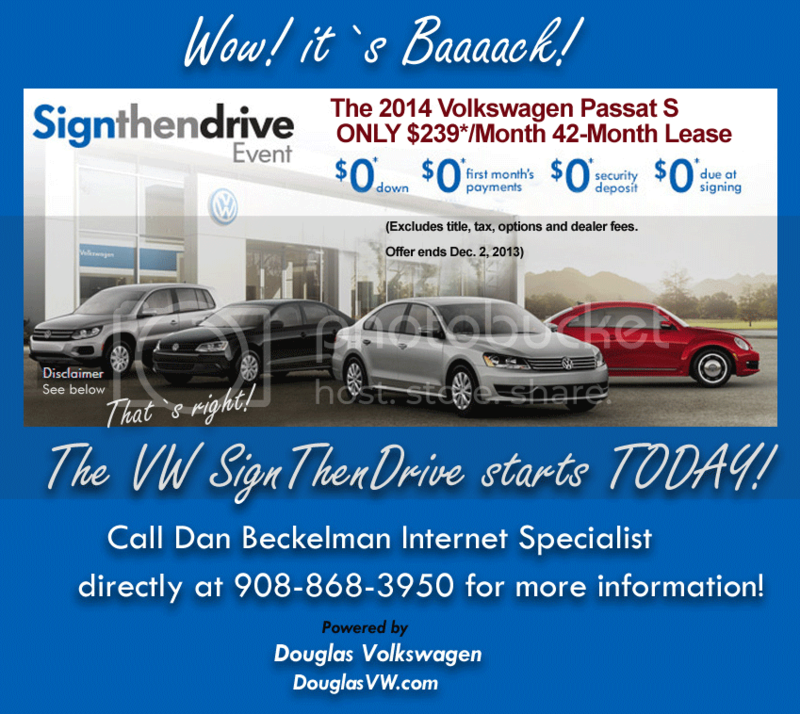 NJ VW | SignThenDrive is ON at Douglas Volkswagen in Summit NJ! 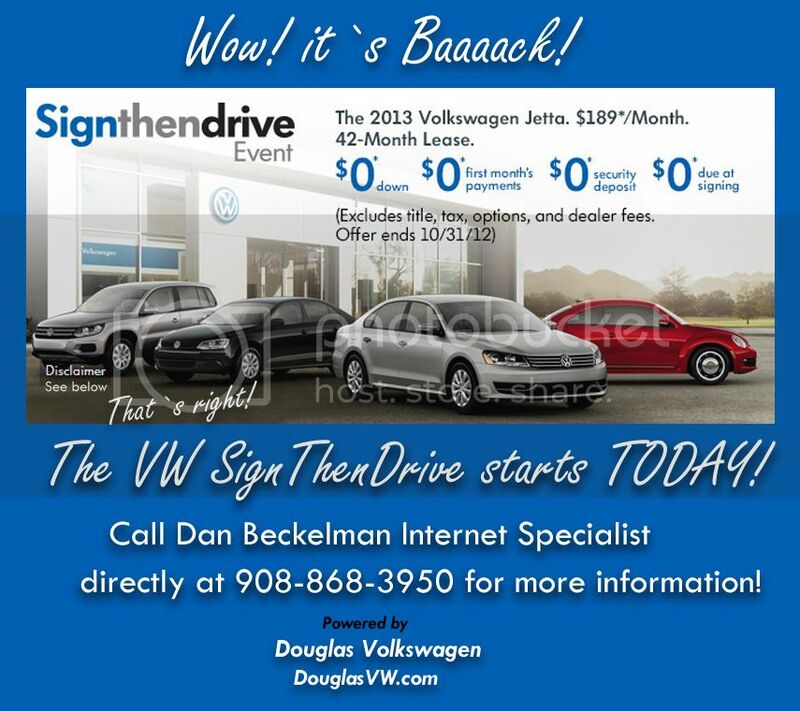 | Union County NJ`s Select VW Dealer announces SignThenDrive begins TODAY!